A team from Canada was awarded 1 million yuan (US$148,800) for its artificial kidney and portable dialysis machine, said to be the smallest in the world, at a ceremony yesterday marking the opening of the 17th Conference on International Exchange of Professionals (CIEP). The project won the first prize in the overall final of the Third China (Shenzhen) Innovation & Entrepreneurship International Competition that concluded Friday. A total of 24 projects were selected in the profession finals in AI, IoT and Fintech, and industry finals in electronic science, biology and life science, materials and new energy, Internet and advanced manufacturing over the past week. Three other projects, including Genecis — a project developed by a Canadian team that turns tons of organic waste into high-value biodegradable polymers — hologram tables developed by an Australian team, and gear technologies developed by U.K.-based Sincroll, won second prizes. 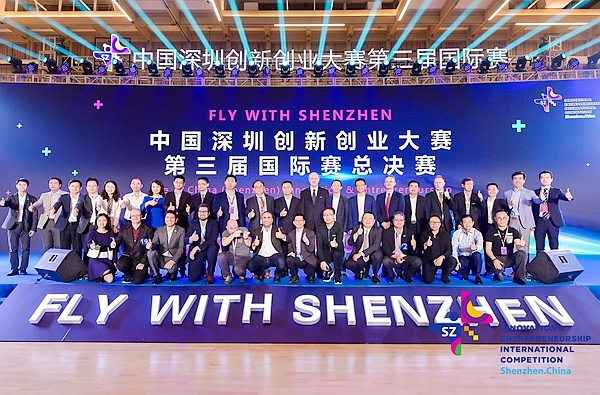 For this year’s event, a total of 1,850 items were registered for the preliminary competitions in 10 cities in nine countries, and a total of 137 projects were selected to attend the finals in Shenzhen. The contest was a major sideline event of the two-day CIEP at the Shenzhen Convention and Exhibition Center. At the opening ceremony of CIEP, Wang Zhigang, minister of science and technology, said China had established technology cooperation relationships with 160 countries, and joined 200 international organizations and multilateral mechanisms. In 2018, China accumulatively issued 336,000 work permits for foreign experts, and 950,000 foreigners were working in China. This year’s CIEP attracted 40,000 experts, scholars and high-end talents, as well as 4,000 organizations from 50 countries and regions. It showcased talent introduction achievements by enterprises, featured job fairs for different groups, and highlighted scientific achievements and transformations as well as matchmaking for industries, talents and human resources agencies. Initiated in 2001, the annual CIEP has become the highest-level and largest-scale international talent exchange platform in China, catering specifically to professional organizations, training institutions and experts. It is a comprehensive conference integrating talents, intelligence, technology, projects and management.